Take every airport hotel cliche you can think of and forget about them. The Renaissance Atlanta Airport Gateway is worthy of more than just a flying visit. A two-minute ride on the Sky Train away from the Hartsfield-Jackson Airport, you’d be forgiven for thinking the Renaissance Atlanta was like any other airport stop off. Spend the night, however, and you’ll find dramatic design, locally inspired cuisine and world-class amenities. 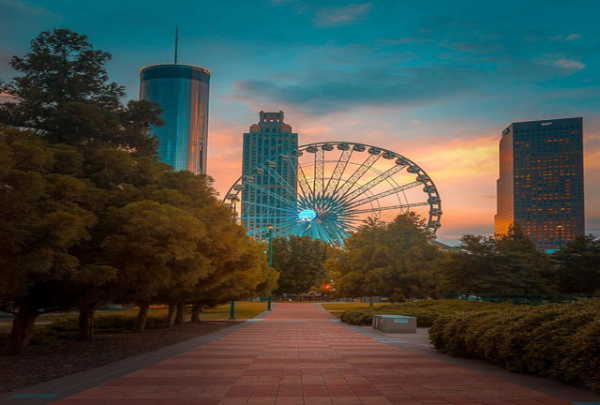 And the Gateway is exactly that - from the hotel you’re free to take flight into the ATL, one of the south’s most vibrant and culturally rich cities. The cool distant cousin of Williams-Sonoma. Star Provisions is the epitome of food and fun to anyone interested in culinary delights. From extravagant charcuterie, and seafood to coffee beans from local suppliers you can buy it all at Star Provisions. The place also serves delectable food making it a perfect spot for a bit after some retail therapy. Hands down the best Japanese restaurant in the city. Gyu-Kaku is situated in a prime location in the heart of the city and serves a wide range of choice in meats. The cozy and casual eating environment here is great for everything from a date to a group outing. The staff here offer great hospitality and prompt service at all times. 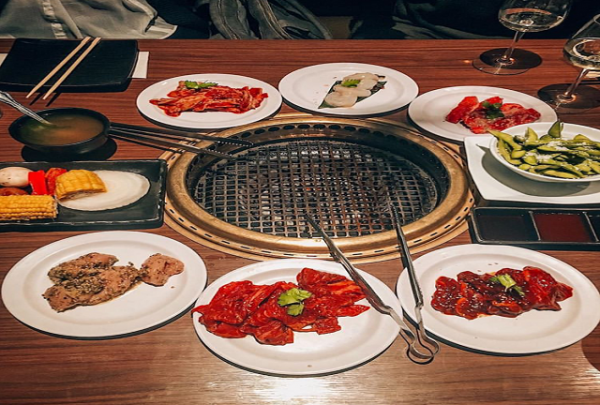 The Yakiniku style of food served at Gyu-Kaku served here is delicious and a must try for all. 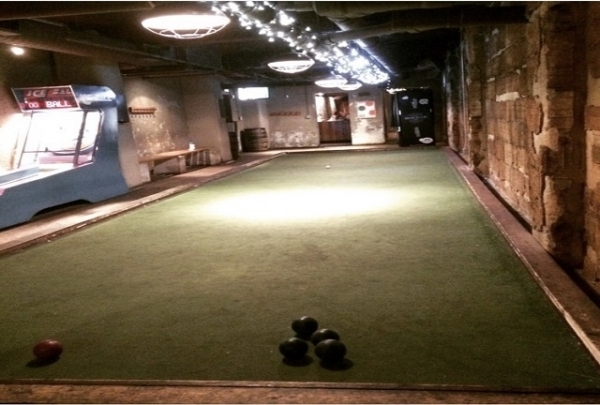 Stats is the go-to bar for sports enthusiasts in Atlanta. It is centrally located in between the Mercedes-Benz Stadium, Philips Arena and Centennial Olympic Park. Stats situated on 200 Marietta Street Northwest features three storeys and a rooftop deck for you to sit, relax, sip your favorite drink and unwind while watching live sports telecast. Housed in a historic building, this market is filled with national and local retailers, restaurants, and a food hall. 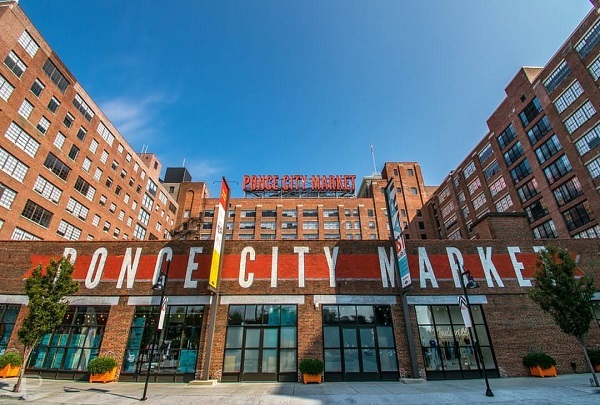 Ponce City Market renovated the classic Sears building and made it one of Atlanta’s main attractions, adding new energy and excitement to the neighborhood. It is home to unique shops, restaurants, and activities, not to mention its beautiful Beltline location and stunning scenery. The ultimate hassle free middle man between local products and local consumers. 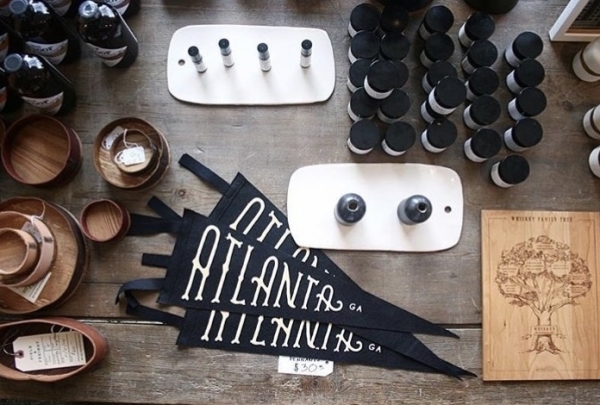 Think of Citizen Supply as a local bazaar for handmade Atlanta designs. Indigenous products are often difficult to produce and distribute on a large scale for up and coming creatives, citizen supply comes as a more streamlined, artistic approach to buyers. 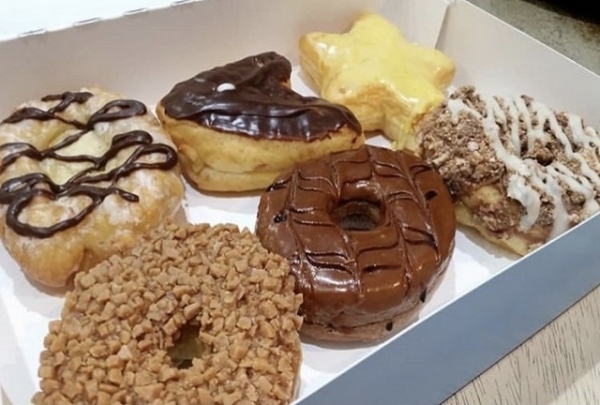 A locally based doughnut shop focused on superior quality products, innovative flavors and an array of pastries. Sublime Doughnuts is probably one of the coolest doughnut shops you will ever go to. With designer doughnuts popping up everywhere now, Sublime keeps it eerily simple. They won't have your vegan, 100 layers or a flourless pastry that coincides with your keto diet. But rest easy in knowing that every single doughnut that they make is made with consistency, care, and ingenuity. 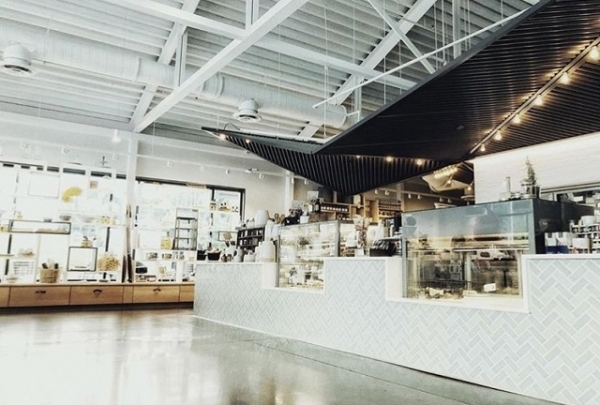 With its whitewashed industrial feel, Bartaco appeals to every trendy crowd within the neighborhood. 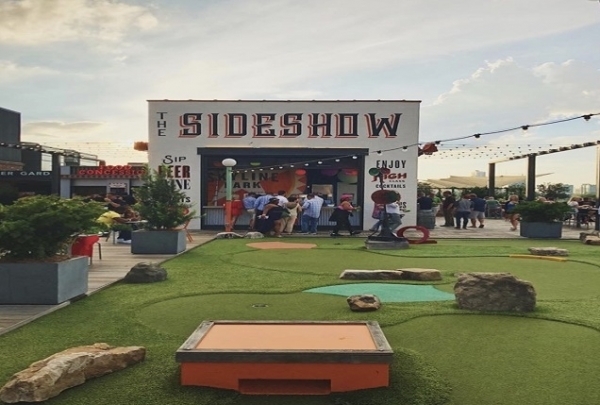 It is constantly packed with a varying crowd and is an all-around great setting for anything from a business meeting, first date or for hanging out with your friends. Order their tequila pitcher and treat yourself, you will not be disappointed. The site of the 1996 Olympics and the home of the NFL Fan Experience. Outside of Piedmont, Centennial Park is the premier green space within the city lines. Concerts, pop-up shops, historic and cultural events occur here as well as city-wide gatherings. If you are looking for something fun to do while in the city then you should probably start here. The High Museum of Art is the quintessential art gallery of the south. This venue managed to feature in the popular Hollywood movie Black Panther and play host to the most renowned female artist in the world, Yayoi Kasuma, in the same calendar year. 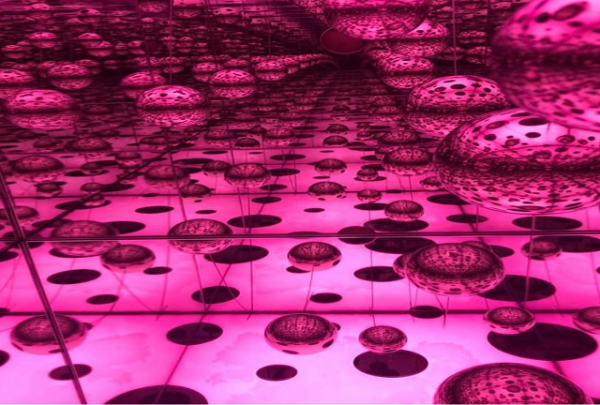 Exploring the many interesting exhibits here is a must while in the city. A mecca for Southern classics, endless brunches and fried crab legs. 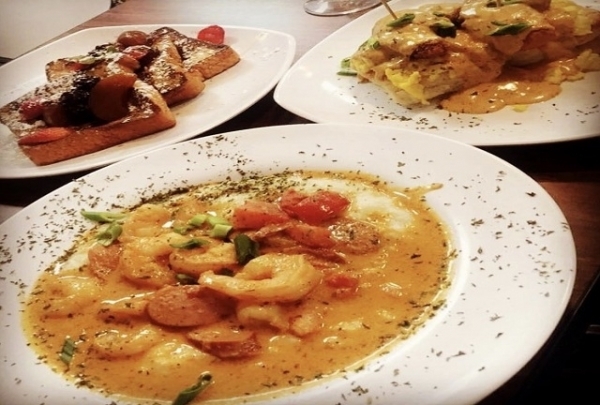 Milk & Honey is a quintessential Southern eatery serving the highly acclaimed shrimp and grits, fried fish biscuits, and key lime waffles. Corner Tavern is a quintessential local tavern. Come meet your friends, play a game of pool, and enjoy a delicious meal. If you're looking for great wings, tasty drinks, and classic southern cooking, this is the spot for you. 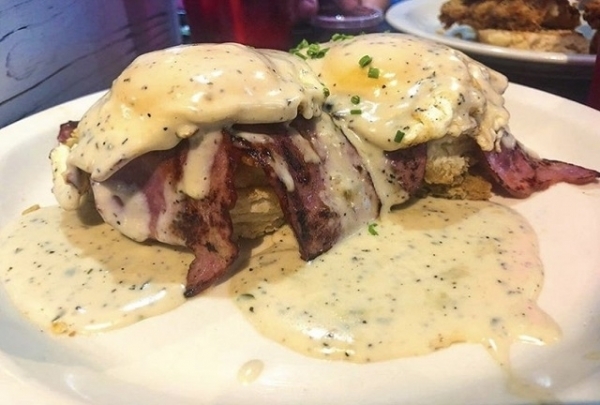 Corner Tavern also serves breakfast and brunch, so you can enjoy it any time of day. Enjoy a delightful shopping complex that fulfills all your needs. 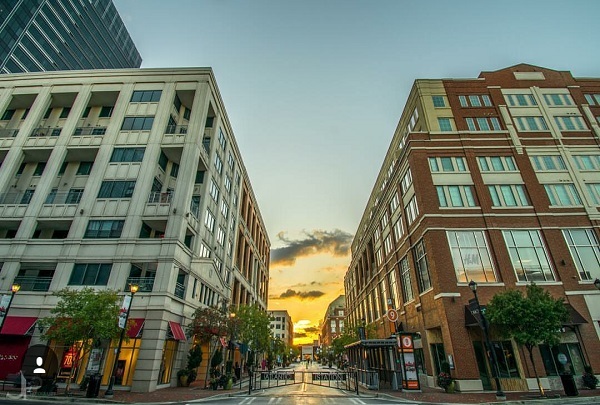 Atlantic Station is a very convenient shopping center that gives you options to eat, shop, watch a movie, or simply take a stroll to view the beautiful scenery. Stop by for all your shopping and entertainment needs. Modern wine bar offering a mix of Italian small plates, handmade pastas & more in a refined setting. 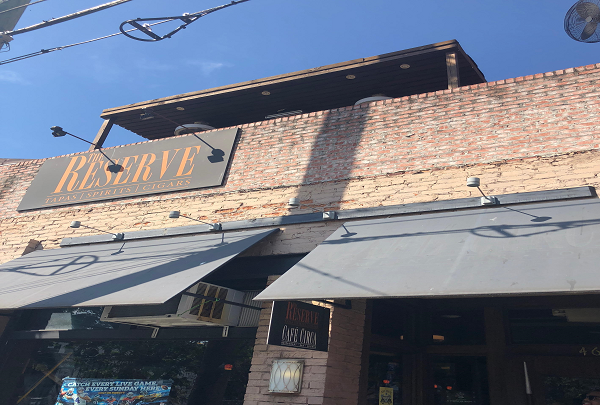 A perfectly quaint, yet upscale dining scene nestled in the heart of Hapeville. With its dark scenery, extensive wine list and perfectly curated plates, this dining place is quite popular amongst the foodies in the city. Volare Wine & Bistro is a must visit while in the city. Lenox Square is a shopping mall located in the Buckhead area of Atlanta. 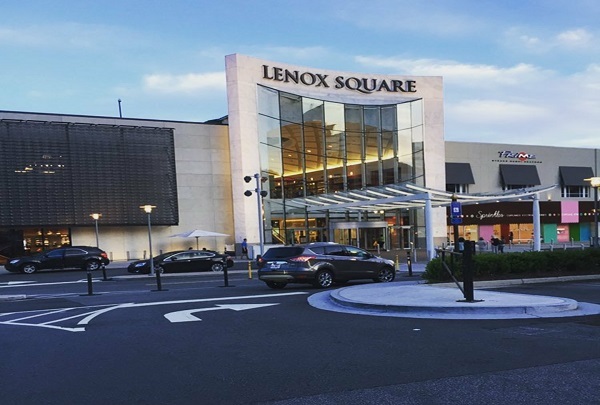 Lenox Square is one of the best known shopping malls in Atlanta. Offering more than 200 stores, a food court, and plenty of parking, it guarantees a fun and easy shopping experience for everyone who passes through. Check out this shopping complex with discount departments, big-box and specialty stores, assorted services, and dining. 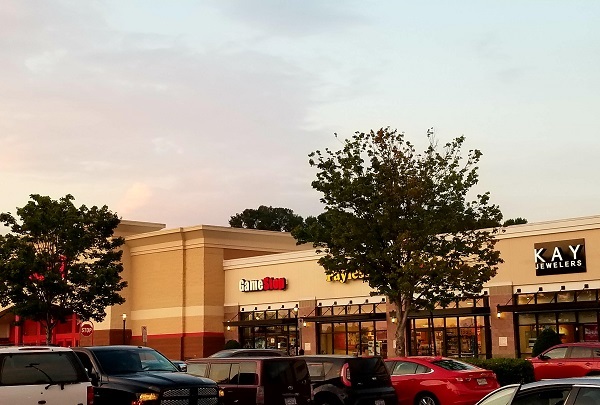 Located right off Exit 2 on the Camp Creek Parkway, this shopping complex is the closest and most convenient. You're sure to find everything need without having to drive into the city. Stop by and savor this community staple. 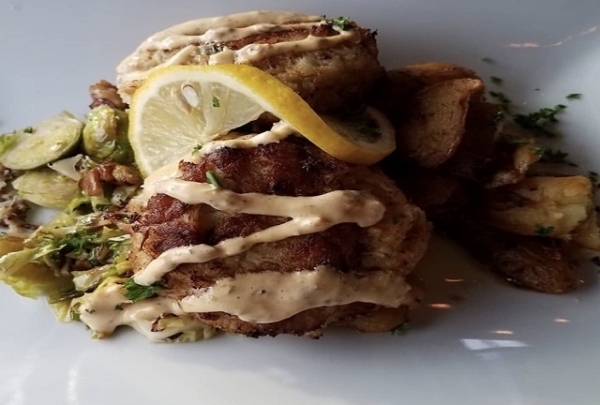 A local favorite, the Corner Grille boasts a welcoming atmosphere and some of the most delicious Cajun-influenced southern cuisine in Atlanta. Head over for seriously some good eats! Manchester Arms is an English-style pub located in an intimate brick house that features a patio, a tasty menu, and a great selection of imported and domestic beer. Chow down on classic southern cuisine with a Louisiana twist. Chef Michele specializes in southern cuisine elevated by traditional Louisiana techniques and flavors. It's hard to be disappointed by the Urban Foodie Feed Store. Dig in! If you're looking for a quick bit in a nice, cool atmosphere then Radial is your place! Radial café is a newly opened American Green Certified Restaurant serving terrific food and offering great service. From its breakfast menu to its dinner offerings, you're sure to find something that will delight your taste buds. Enjoy a memorable evening at this College Park speak easy. 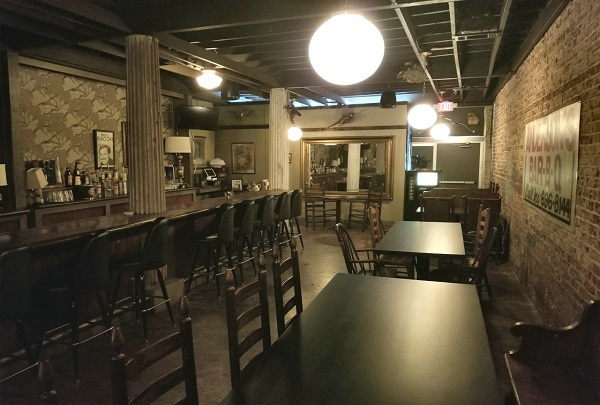 A hidden gem tucked into the College Park area, The Duck Club SpeakEasy is a beautiful brick and wood designed nightlife venue. It serves classic cocktails made by expert bartenders and serves as an excellent locale for a night out on the town. 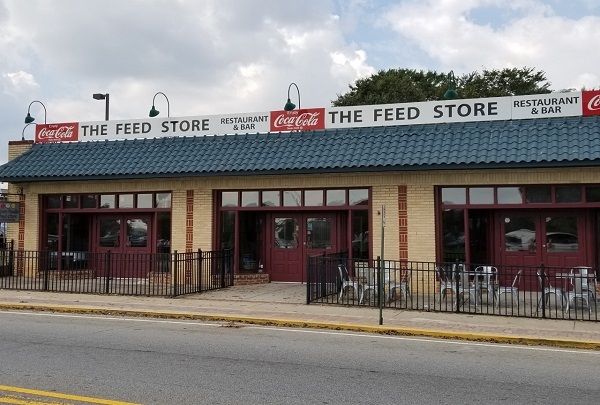 Take a trip to the past with a tour of Hapeville's historic neighborhood. 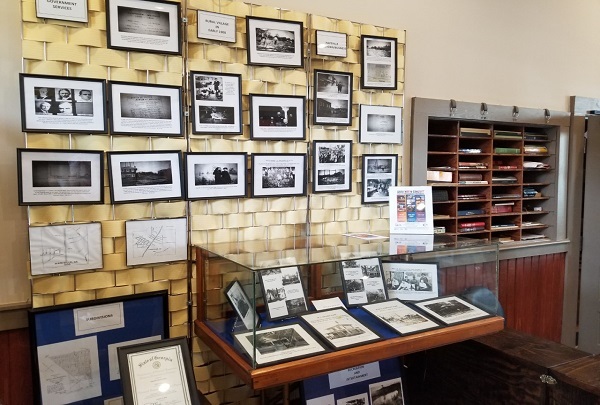 The Hapeville Depot Museum is an intimate space that displays rich history through its fascinating exhibits and local archives from the 1800s. 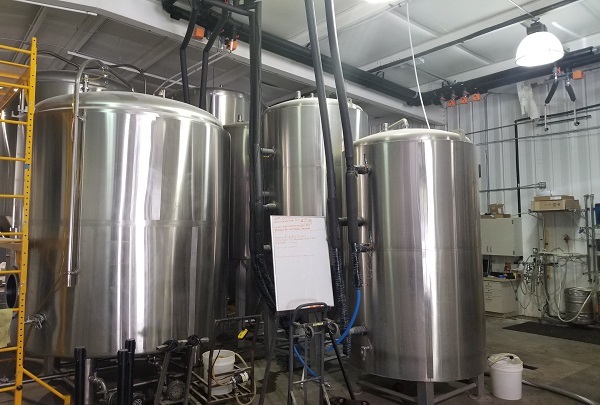 Enjoy a local brewing company with over 30 different beers to choose from. Arches Brewing is a brewing company that utilizes an old practice to formulate its variety of distinguished beers. You are more than welcome to come in and enjoy a great selection of locally crafted recipes. Cheers! 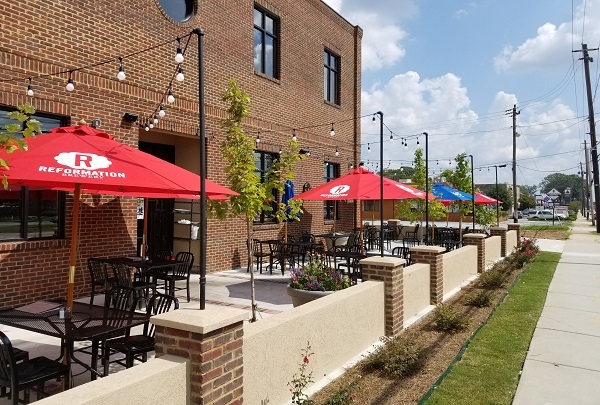 Relax on the patio while enjoying the beautiful sights of historic Hapeville. At Beer Girl Bottleshop you can choose from 42 taps while browsing 600+ beers and 200 wines. Get a glass of your favorite or discover something new. You can't go wrong at Beer Girl. From old-fashioned treats to new candy treasures, Treat Love has something sweet for everyone. 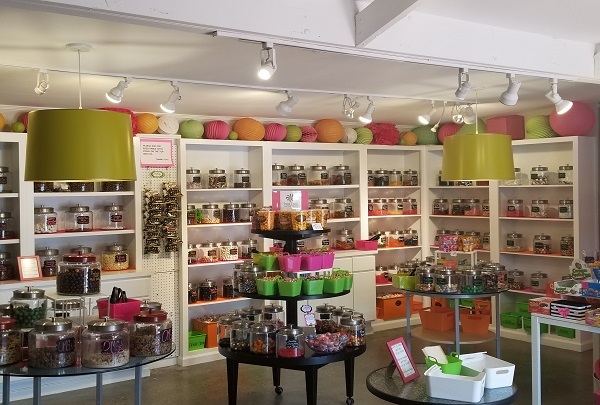 Treat Love is a delightful candy shop that boasts a wide variety of sweet treats. Come indulge on goodies that will leave you craving more, then stock up for the rest the day. The Porsche Experience is any car lover's dream! Take a spin in one of 27 different Porsches for a 90 minute thrill. 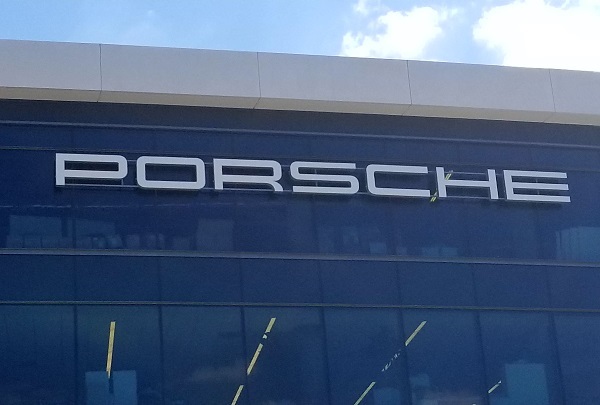 At the Atlanta Porsche Experience Center you have the option to speed away on a six-module track in the Porsche of your choosing, dine at the 365 restaurant, or visit a museum that displays 100+ years of Porsche history. Stop by for a good time! 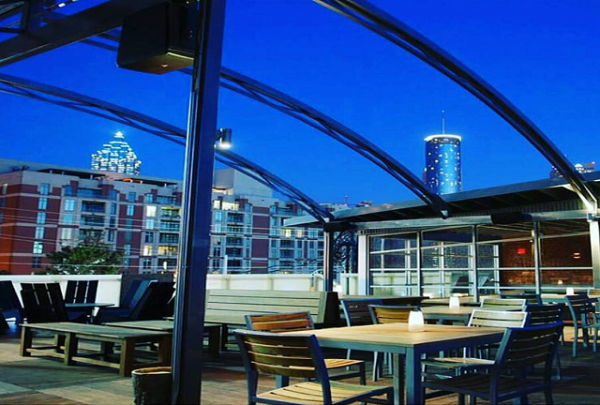 A diverse split level venue with separate bar spaces and a view of historic downtown Atlanta. 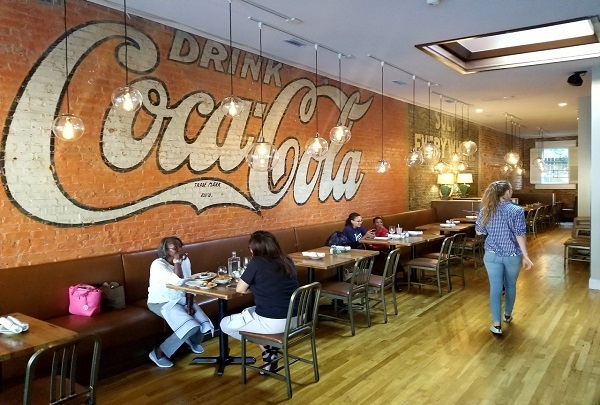 Nestled in the heart of downtown's party scene, Café Circa offers a distinct feel on historic Edgewood Avenue. As a split level venue, it is encouraged to drink and play in one place. The restaurant supports two separate bars and a rooftop patio equipped with private booths, televisions, and a great menu. Ever felt like you were eating seafood on the deck of a ship in the middle of Georgia? Well BeetleCat makes it possible. 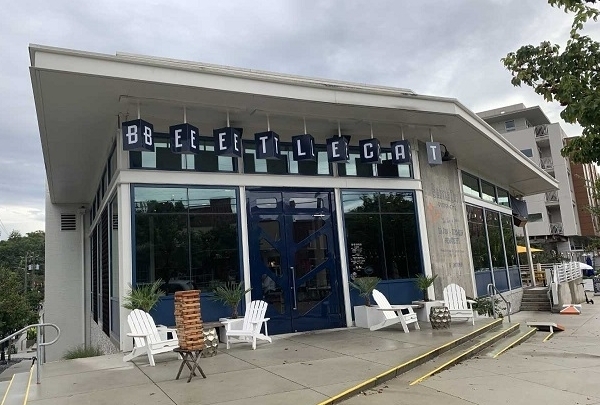 Located on a super trendy corner of the North Highlands neighborhood in Atlanta, BeetleCat evokes the feel of a gastropub within the galley of a ship. Everything from the decor, to their renowned oysters are delicate and beautiful. Alongside, their seafood heavy menu, they feature locally brewed beers, diverse cocktails and delectable chicken wings. 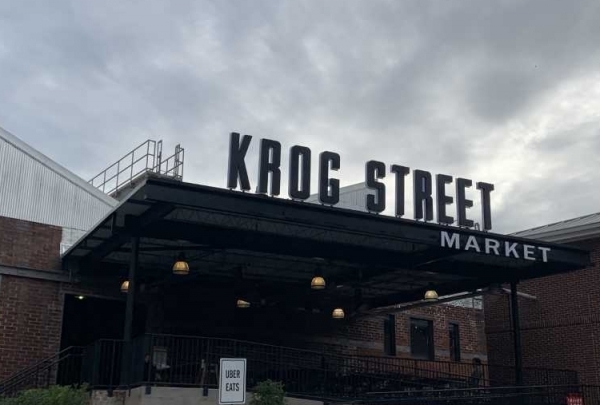 A place of refuge for native Atlantans, Krog Street Market is home to various eateries and functions of all sorts. Originally built in 1889, this mixed-use, warehouse style facility has a unique history enthralled in Atlanta business and culture. The space, now filled with apartments, eateries, and shopping was voted "one of the world's best food halls" by Travel + Leisure in 2015 after it's second conversion. Since then, the marketplace has earned numerous awards, accolades and features focused around food. A trendy, up and coming, mix-use center focused around shopping and eating. 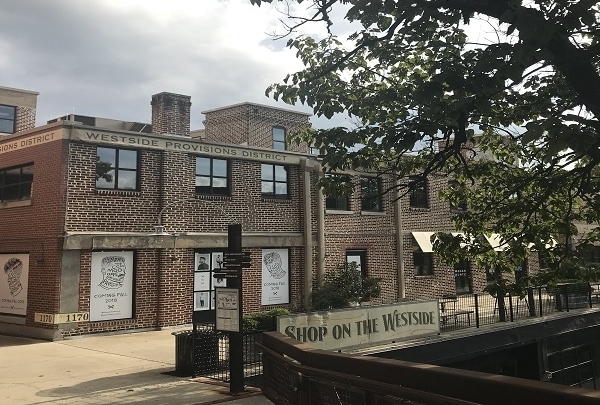 Originally established in 2008, the Westside Provisions District has quickly become a staple of the up and coming Westside of Atlanta. 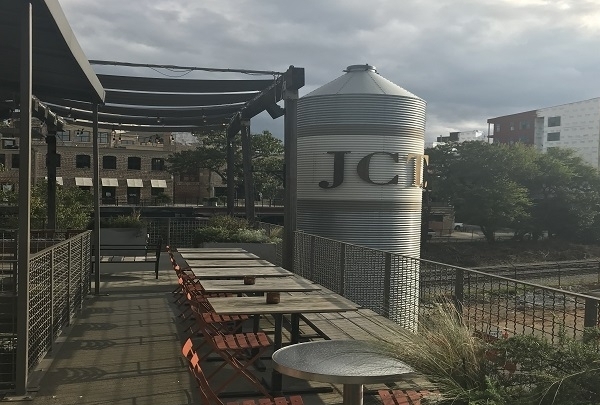 As a standout mix-use district, featuring retail, apartments and eateries, the Provisions District highlights local shopping and eating such as JCT. Kitchen & Bar, as well as your national favorites such as Warby Parker. JCT. Kitchen & Bar is a Southern staple with a modern flare. As the Upper Westside of Atlanta persists in its growth, chef and restaurateur Ford Fry continues to put his foot in the food scene. His creation, JCT. Kitchen & Bar, puts farm to table food in the forefront and features an abundance of southern staples, craft cocktails and live music. 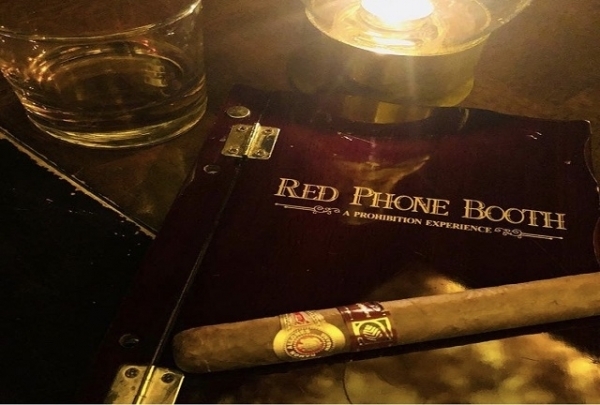 A quaint, local cigar club and lounge located on Virginia Avenue just 5-7 minutes away. 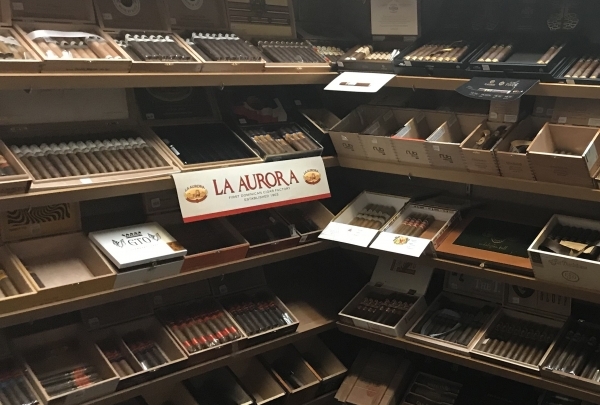 Kings Cigar Lounge is a privately-owned business located centrally in Hapeville. 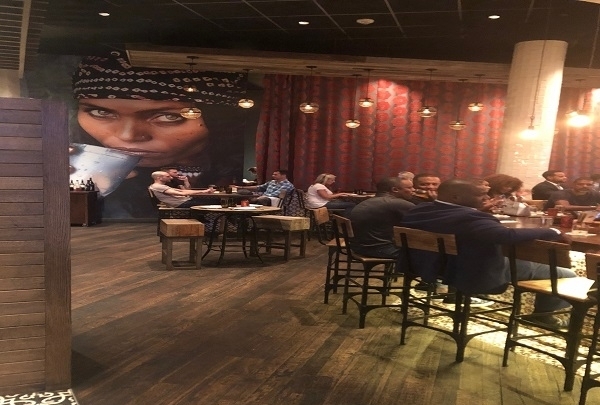 Situated between an array of different eateries, the lounge offers drink specials on Thursday nights and plenty of cigars for anyone's preference. Drinks that make it hard to slow down and food that makes you start dancing while you chew. 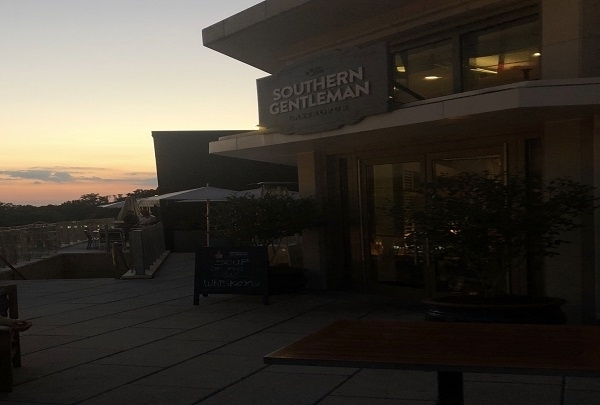 If you have ever wanted to go somewhere that has amazing drinks and food that makes you want to immerse yourself in the culinary offerings then the The Southern Gentlemen is the place to be. 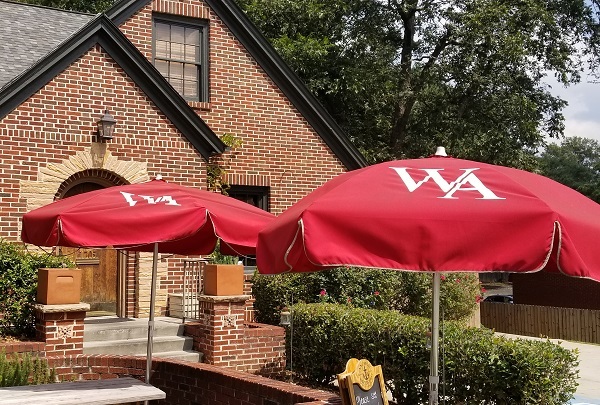 From Brunch, to Lunch, to Dinner, you could literally sit on the patio all day and enjoy libations and great southern classics. 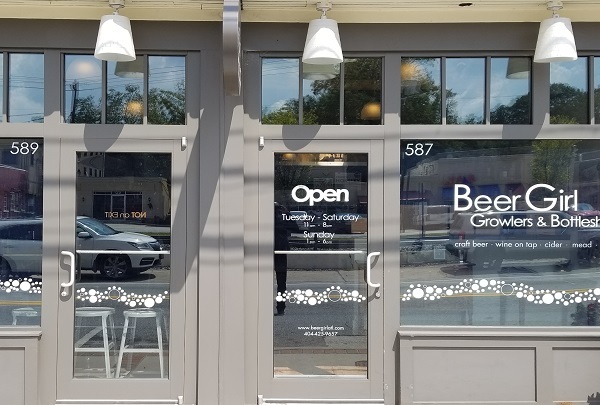 Nestled in one of the most desired locations in the city of Atlanta, the Buckhead Shops, Gypsy Kitchen takes your palate on an eclectic journey. If you love Mediterranean flavors, rich sauces, delectable seafood or frankly you are just a foodie, this place is for you. Sporting an outdoor patio, craft drinks and beautiful works of art. This restaurant appeals to far more senses than just taste. Built inside an original 1940's-era aircraft hangar, the Delta Flight Museum takes visitors on a historical journey. 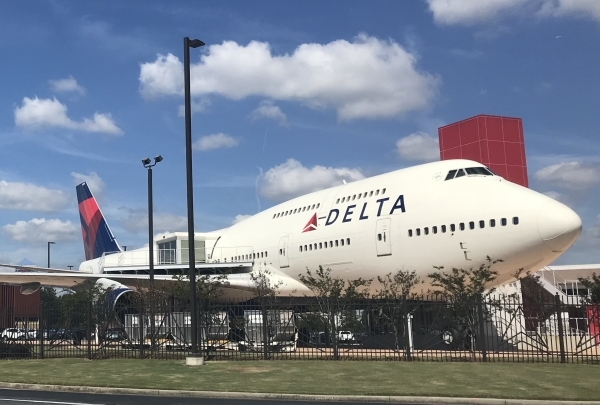 Originally established in 1995, the Delta Flight Museum is a memorial and corporate exhibition celebrating the Atlanta based company's history and growth. The expansive experience highlights the history of aviation here in Atlanta and also celebrates Delta's technological feats. The ultimate play zone for the grown-ups! If you have ever been THAT friend tasked with selecting a place for your out of town friends or family to visit while they are here? well here is your new go-to. 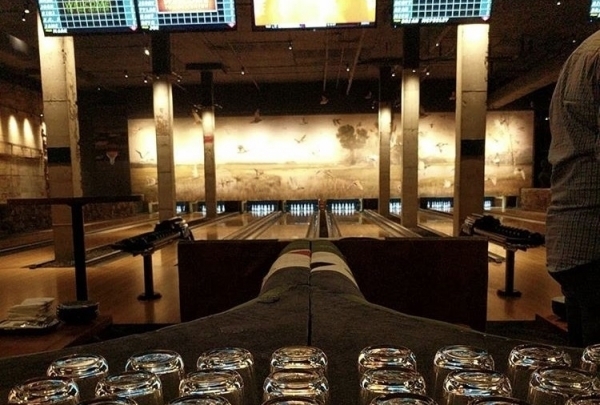 Equipped with multiple duck pin bowling lanes, phenomenal food, and an enormous bar. Topgolf is quickly becoming a household staple for fun, food and events that seems to bridge every gap of interests. Topgolf Atlanta spans every age group and experience level. 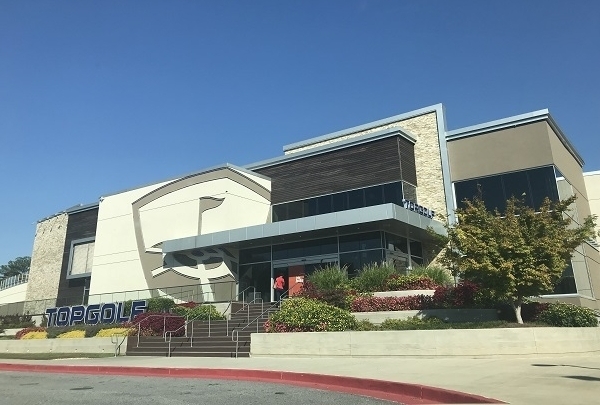 With their numerous driving bays, food options, craft beer selections and games, Topgolf has something that will appeal to just about anyone's sense of fun. Try the Bulgogi! That is all that needs to be said. 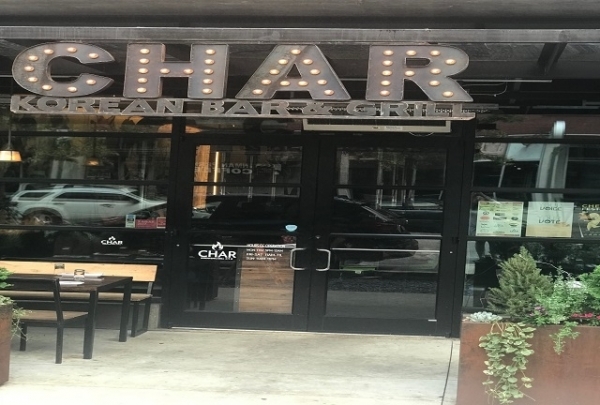 Nestled within the trendy North Highland neighborhood of Atlanta, Char is yet another gastropub that shines in the ever-changing restaurant scene. Focused on providing authentic Korean favorites, this eatery provides a warm and comfortable environment and an amazing menu. Doughnuts that increase your happiness but somehow don't increase your caloric intake. Five Daughters Bakery is a family owned and run pastry shop that has expanded from one to five locations throughout the south. 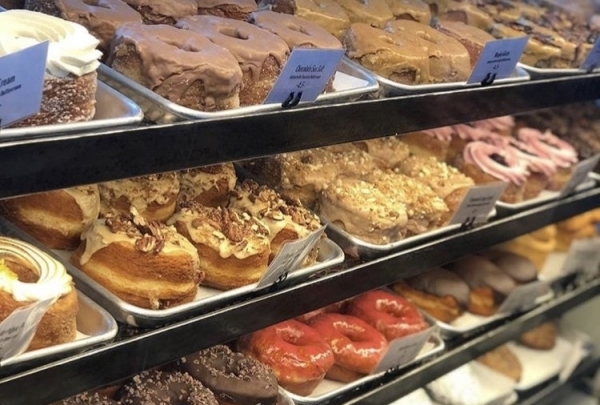 Their specialty, the 100 layer staple resembles the texture of a croissant and the decadence of a doughnut, while they also sell paleo flavors and vegan doughnuts as well. 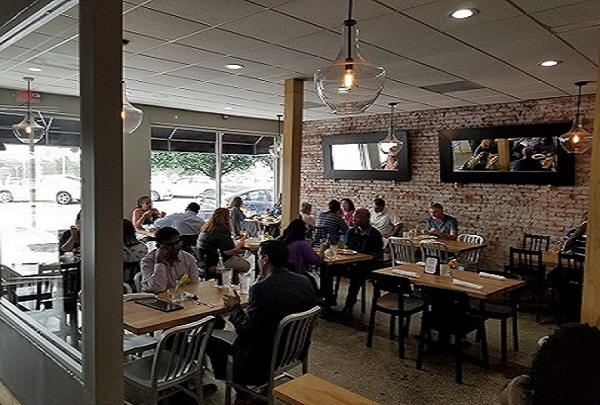 An authentic taste of Jamaican food and culture in the heart of Atlanta. Negril Village is one of the few restaurants in Atlanta that is truly as aesthetically jaw-dropping as it is food wise. Once a firehouse, the ambiance of the restaurant is truly bright and open, yet cozy. The staff too is absolutely amicable. The food is exquisite and the live entertainment sets a tone to say the least. 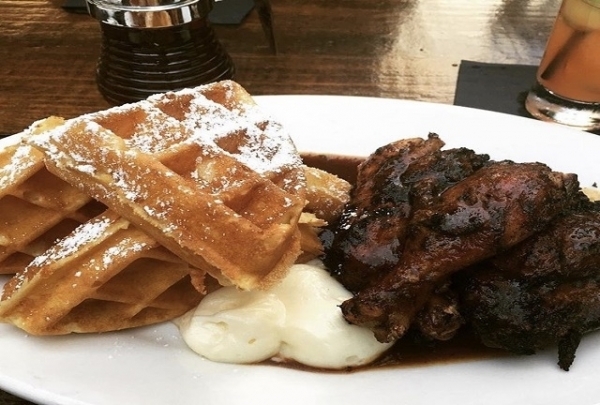 Try the Jerk chicken and pineapple waffles! A super trendy, yet sophisticated restaurant and bar straight out of a live Japanese anime film. If you have even wanted to visit Tokyo, or experience its nightlife, this is as close as you will possibly get in Georgia. Little Trouble lives up to it's name with its hours alone. Open 6 pm-"late" just sounds ominous. 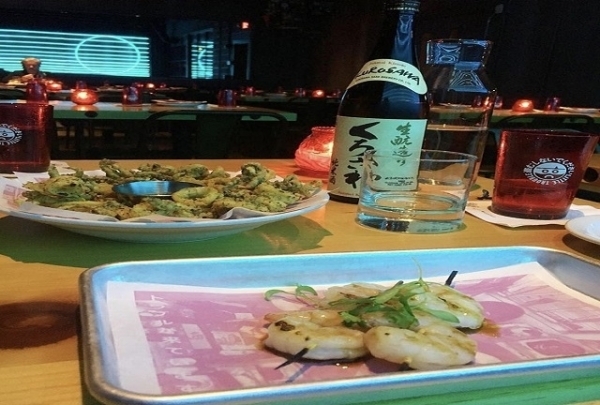 However, the setting is very intimate and friendly with craft cocktails, a variety of saki and small plates. A modern prohibition bar in the heart of Atlanta. The Red Phone Booth is the ultimate opposition to the touristy scene that the heart of Atlanta boasts. Unbeknownst to the thousands of daily passer-by, this modern prohibition experience is ultra secluded to guests, yet inclusive of many craft cocktails, rare cigars and great food. The perfect place for a craft beer and a welcoming atmosphere. If you have ever dealt with the dilemma of where to go and watch the game with friend outside of your living room, think of Ormsby's as your new man-cave. With local and foreign beers, plenty of tvs, and games galore this homey tavern is more like an adult Chuck E. Cheese. The most fashion forward, made-to-measure, family run businesses that you will ever visit. 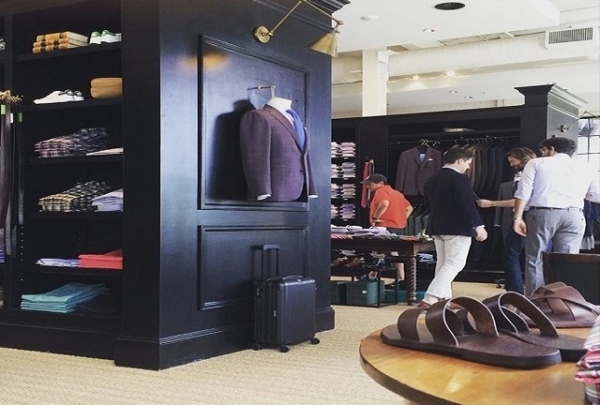 There are plenty of bespoke clothiers and haberdashery stores throughout Atlanta. However, you will not find one as well professional, yet modest as the Sid Mashburn and Ann Mashburn stores. They are as moderately priced as made to measure stores come with staple pieces that are often hard to come by without spending an arm or a leg. 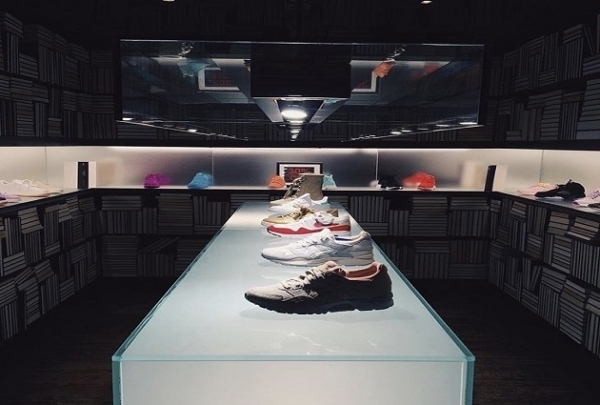 Pretty much the quintessential street wear outlet for Atlanta's influential and diverse population. Atlanta is arguably the street wear capital of the South. Alongside the numerous creatives that bring new brands to the fashion scene each year, Wish exists as a mainstay for current household names and future ones. The only Atlanta landmark officially accepted by every zone within Georgia's capital. 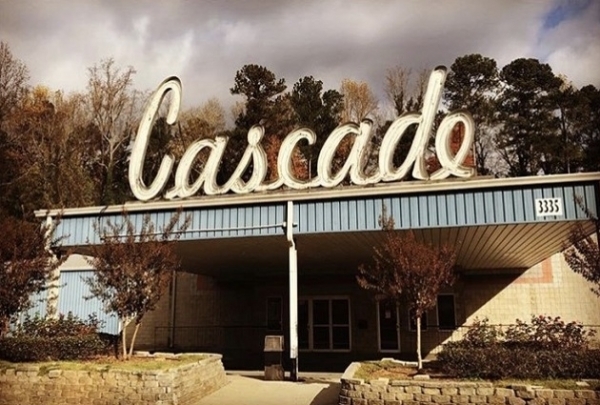 Having been featured in movies, television shows, magazines and music videos, Cascade Family Skating is probably the only landmark in Atlanta that hosts more patrons than the Varsity downtown. An instagram addicts dream shot, Skyline Park boasts jaw-dropping views and numerous attractions. With its new winter attractions, Skyline Park and Ponce City Market are premium date options and hangout spots. 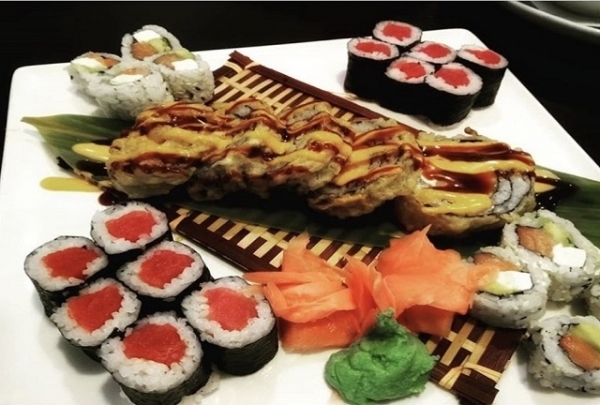 One of Atlanta's truest hidden gems for foodies and sushi connoisseurs alike. Check out their sushi buffet 11 am - 3 pm. Ru San's popularity is similar to that of Honda vehicles. They are cheaper than the competition, great quality and will never go out of style. 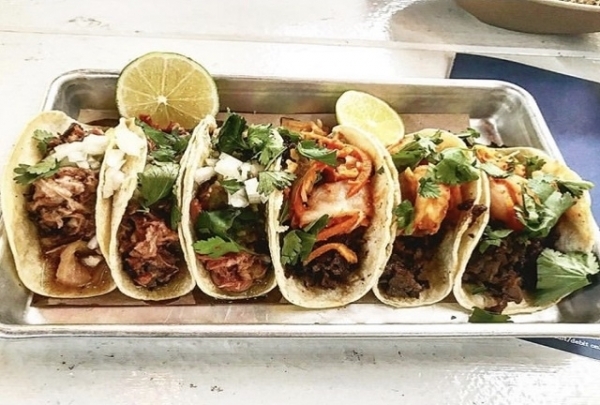 The food is so good here that it's more of a city-wide communion location than a brunch spot. Atlanta Breakfast Club is not solely a point of interest for food, but of family, fun and laughs as well. It is centrally located and close to everything within the city, yet it has a homey and comfortable ambiance similar to a small-town diner. Do you like Chick-fil-A? Well this is their cool, mysterious cousin that loves biscuits. 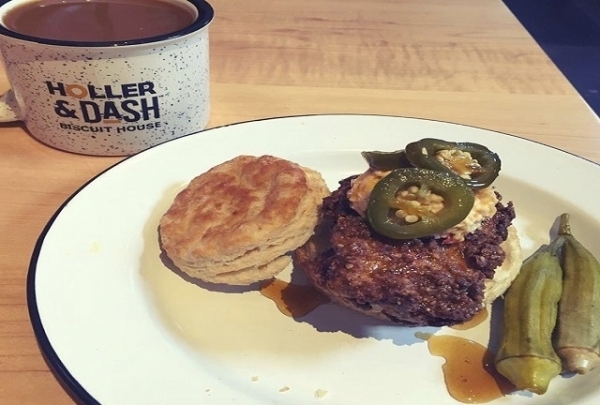 While Holler & Dash does have a varying menu, their biscuits are REALLY freaking good. If you are one of those who has no problem waking up and discovering the next great breakfast spot, well this is it. Karaoke, bowling, table games, vintage arcade, virtual reality and liquor, what else does a grown up need? 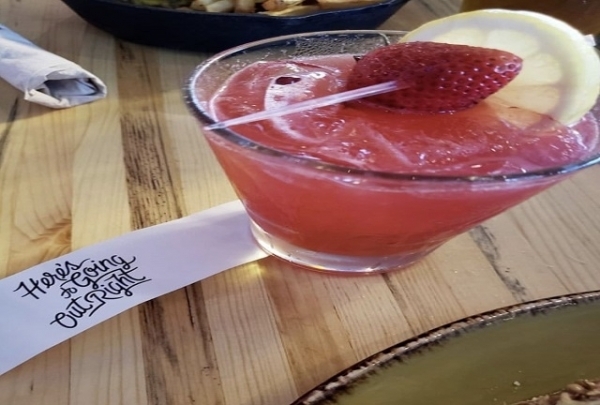 Whether you are one of those social butterflies that everyone loves, but secretly hates, or an understated wallflower, Punch Bowl Social is the place to be for adult fun and games. 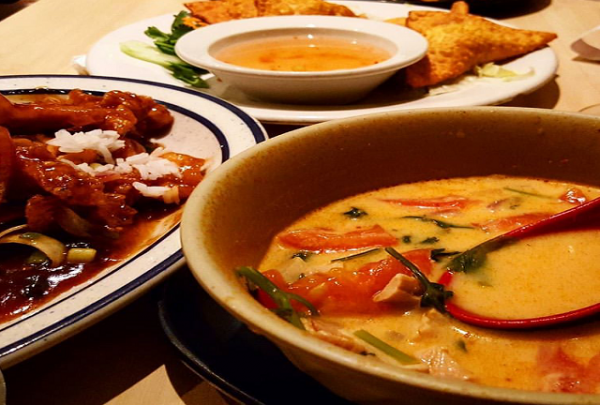 Authentic Vietnamese street food served at reasonable rates. Dua prides itself in great service and food at its location which is bustling with patrons at all times. 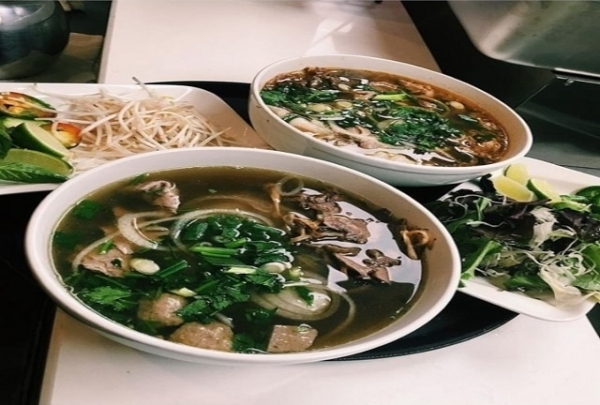 Nowhere else will you find Pho, Bun and Banh Mi at prices less than that of at a food truck. The delicious taste and the generous portions make dining at Dua a pleasant and memorable experience.